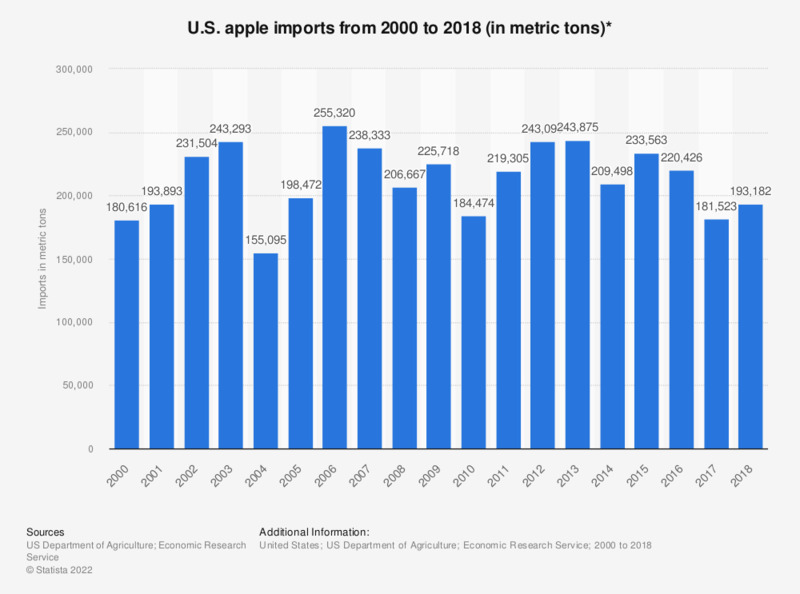 This statistic shows the total apple imports of the United States from 2000 to 2017. According to the report, the United States imported approximately 181,523 metric tons of apples in 2017, down from 220,426 metric tons the previous year. * Imports, fresh and dried, in terms of fresh. Dried converted to terms of fresh apples on following basis; 1 pound dried is equivalent to 8 pounds fresh. No re-exports reported.